I had Jax for over 2 months with me and he loved every minute he was in my home. Jax is just a downright happy little guy that knows the world is so much better than it really is. Our shelter had to close down for 2 weeks due to a distemper outbreak and Jax was supposed to be adopted by someone that had taken him to vet, but brought him back so he could have a meeting with their dog in a couple of days. Due to the outbreak Jax couldn't go back in the shelter and had no place to go so he came to spend some time with me. The "almost" owners never came back for him. When I got the intake papers I saw that Jax had been trapped and then picked up and brought to the shelter. Poor little guy! I can't imagine how scary that must have been for him. He loved being with all my dogs...all shapes and sizes...but especially loved my pit bull, Emma. Jax had no idea what breed she is. Jax is just a wonderful happy little guy that deserves the world. He will give it back to any human ten fold. Thank you for getting them where they needed to go. 11th Hour Rescue is wonderful and it is so great to know that Jax and the others will have homes where they will be loved and appreciated. Our shelter puts down at least 150 animals per week. Jax and the others from our shelter were definitely being watched over by their guardian angels in heaven. Again, thank you. Emma was found as a stray and posted out to find her owner to no avail. I decided to put her on my petfinder page to see about adopting her out. I got an email from a lady in OH who told me it was her cousin's dog here in Goldsboro who is in the Military. Contact the lady who lived a LONG way from where Emma was found. She is a single mom in the military and had Emma as a puppy but didn't have time for her anymore and she kept getting out of the yard. She relinquished Emma to me to find her a home. Lola was found in the middle of the road as a stray not too far from where I live. She was so dirty and covered in ticks. Posted her everywhere and didn't find her owner either (thank god). She did have to be treated for 2 weeks for E-Canis (tick born disease), but that was all. She is about 4 or 5. 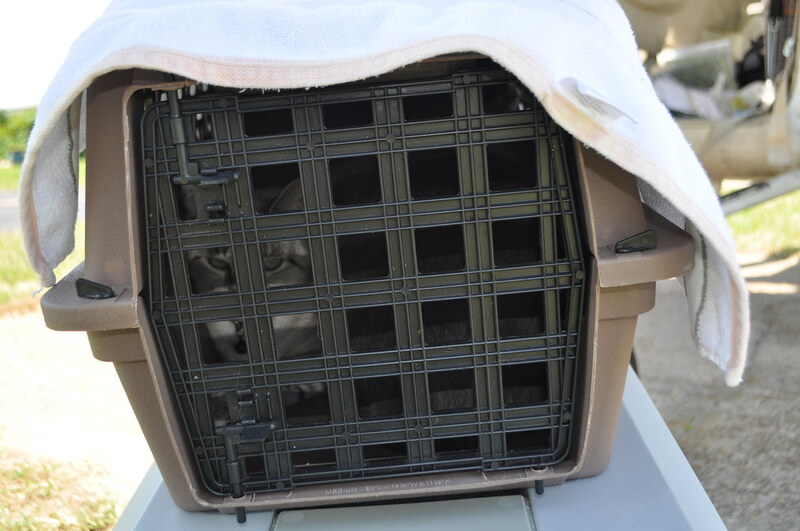 The 2 cats came out of an aweful situation of a woman who had 8 of them, all females, 2 dogs and lost her home. Spent a couple of weeks in the house with no electricity before we found a place for all 8 of them to go. Mia and Fergie were just 2 of them. June at 11th hour is the best. They are a wonderful rescue and take on old or sick or heartworm positive animals and get them treated and great homes. Thank you for being a part of this wonderful ending to these little guys. Charlie was brought into the Pender Co Animal Shelter as an owner surrender. Its hard to think about why and how this gorgeous little fella could ever be turned over to a kill shelter, but this is Charlie's story before Eleventh Hour Rescue saved his life. Charlie was microchipped and not neutered. He is around 8 months old and we believe he was intended to be used as a hunting dog. But Charlie is way too sweet for this, we figure. When I walked Charlie at the shelter, I immediately fell in love with him. 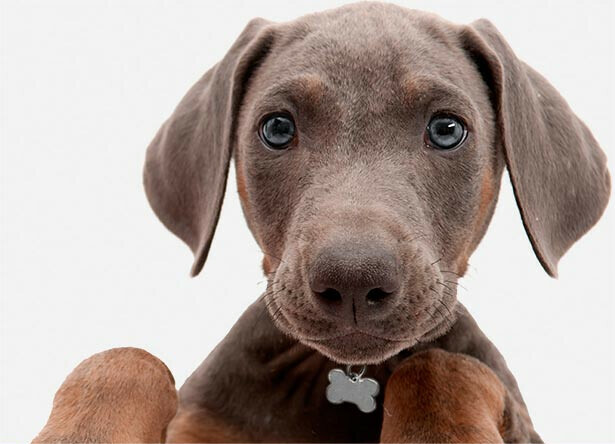 He is sweet, calm, gentle and just loved attention. Thank Goodness Eleventh Hour Rescue was able to get him into their group. If not, Charlie could have been euthanized due to overcrowding at the shelter. 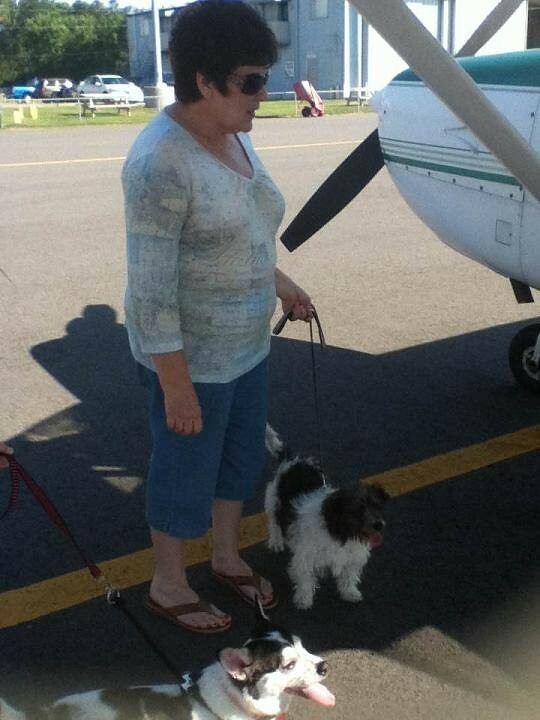 Charlie is safe now thanks to Michele, Rich, June and Cindy & Art. Hats off to a great team! 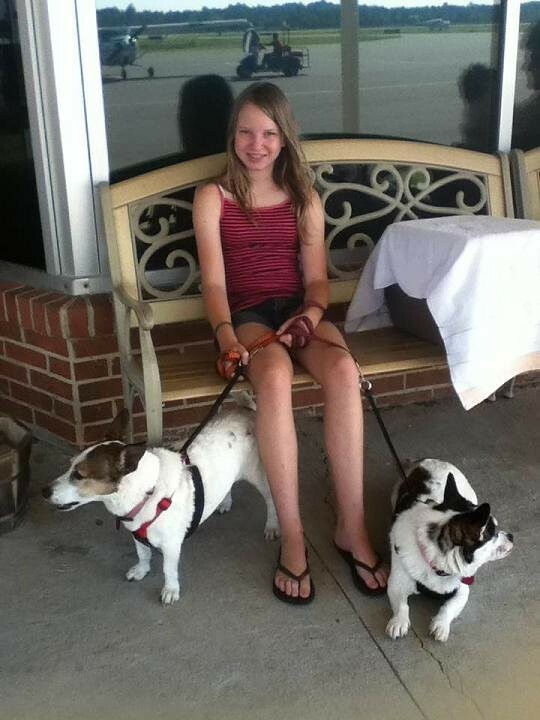 Rescue volunteer Hanna with Lola and Jax. Jax with his foster mom Jane. 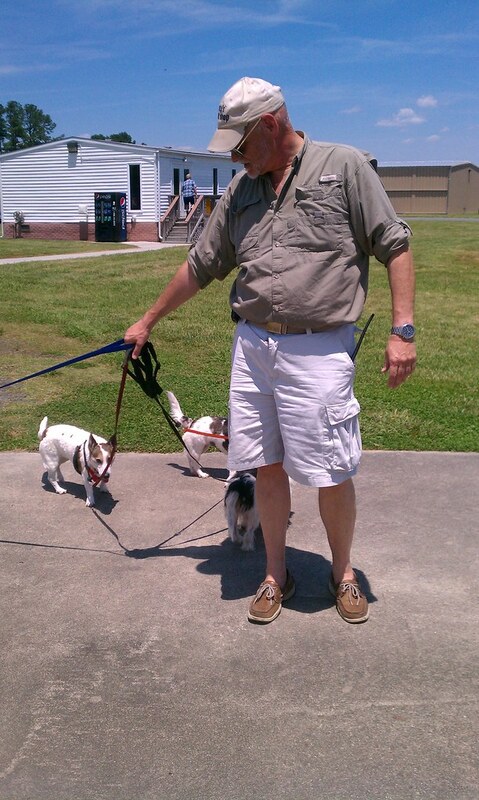 I'm not sure who's walking who, but Rich has his hands full with the four dogs. Side note: Congrats to Rich, who just this past week passed his instrument checkride! Mia and Fergie. Poor things were understandably shy. 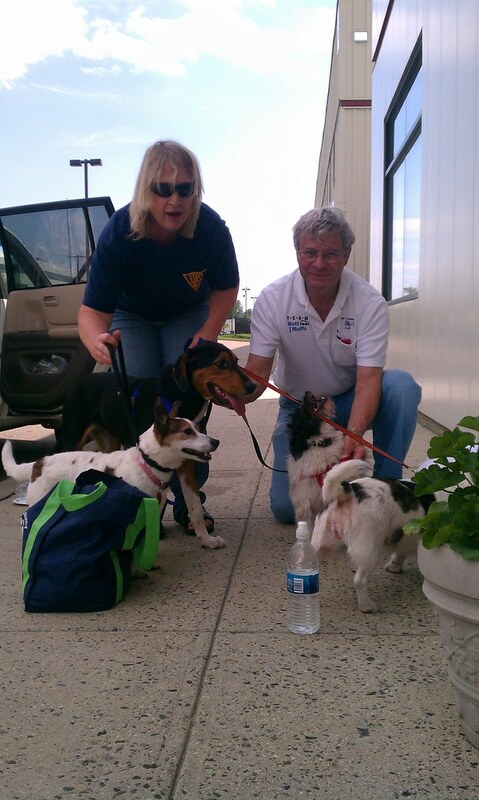 Team Mutt Muffs arrives at Caldwell, NJ. 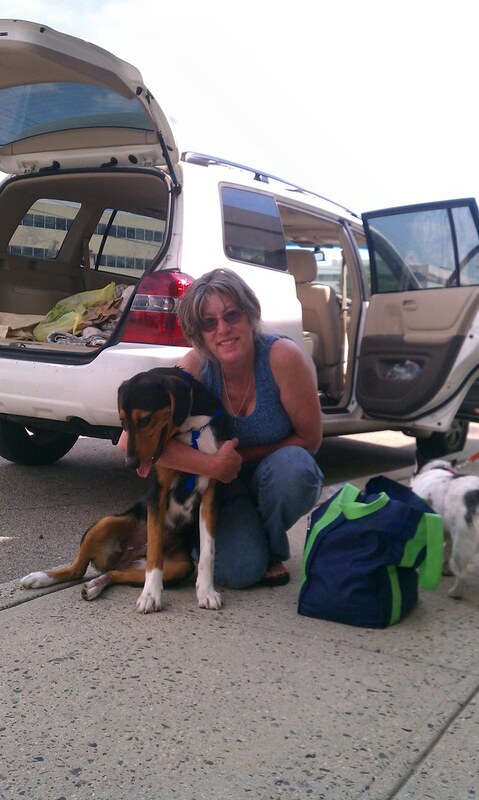 Team Mutt Muffs Michele says goodbye to Charlie, and wishes him a happy new life with a great family. Update 6/10/12 - Thank you everyone for each part to make this happen. Jax has a meet and greet tomorrow. Emma and Lola were such a hit at Pet Smart that they are staying at the center for potential adopters tomorrow. 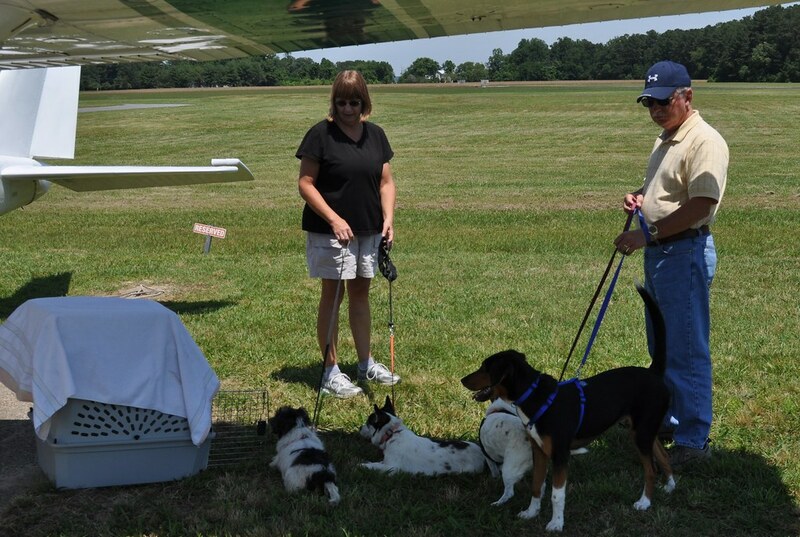 Some folks are planning to return with their dogs to see if one of the girls will be a good fit. Charlie is a mush and had a lot of attention, sure he will be a hit at adoptions tomorrow, thanks again. Forgot the cats, Mia is a little shy but Fergie has an approved family meeting her tomorrow. I will keep everyone posted. 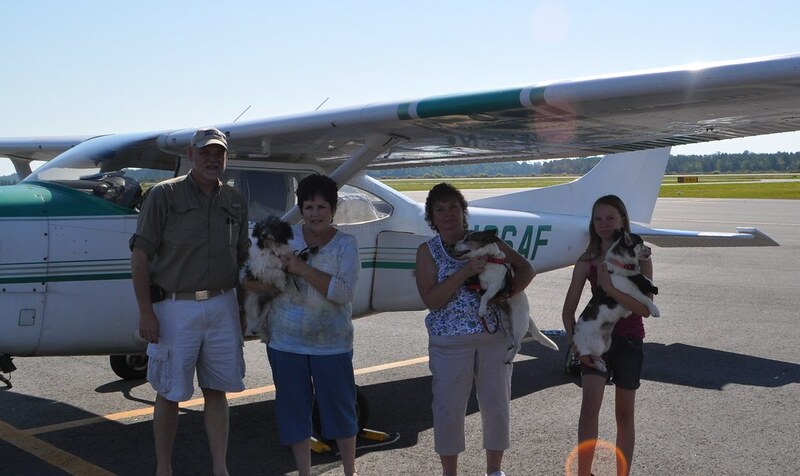 Another update 6/10/12 - Charlie and Jax have new families!